Set under a clear tent at Royal Poinciana Plaza, guests will enjoy cocktails, dancing and dessert - all to benefit FoundCare. 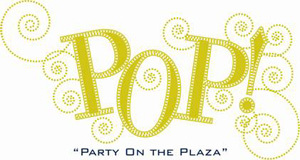 The evening will truly have a POP!, as the event’s viewpoint of the SunFest closing fireworks light up the sky. WHEN: Sunday, May 3rd at 8 p.m.
FoundCare has built Palm Beach County’s new, much needed full-service, non-profit community health center. Designed to provide affordable access to quality primary health, dental and preventive care to children and families in Palm Beach County, the Community Health Center will serve all patients -- including the uninsured and underinsured.